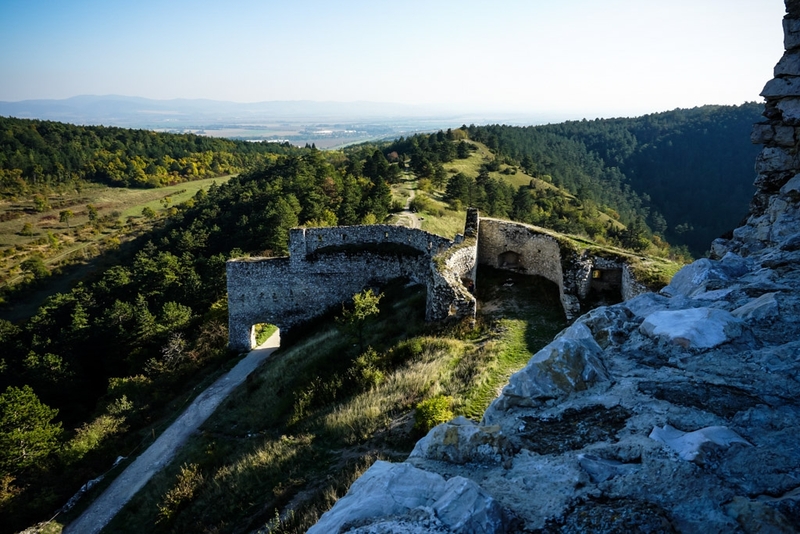 Deep in a remote region of Slovakia hides a ruined castle with a particularly bloody past. Čachtice Castle stands upon the steep side of a mountain top, overlooking quint villages below. It has been ruined for some time. 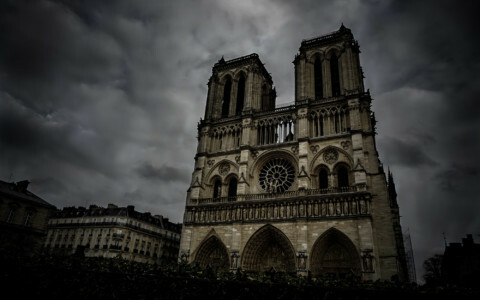 Remaining as a crumbling stone edifice linked to dark history and a supposed murderous torturer, Elizabeth Bathory. Approaching Čachtice Castle in Slovakia. Čachtice Castle was built in the 13th century and received alterations to its appearance throughout the following centuries. It passed through the ownership of prominent families until falling into the possession of its most famed and notorious owner in 1575. At this time it was passed onto Elizabeth Bathory, best known as the Blood Countess, as a wedding gift. Portrait of Elizabeth Bathory, The Blood Countess. Elizabeth Bathory is recorded in the Guinness Book of Records as being the Most Prolific Serial Killer of all time. During her lifetime she supposedly murdered and brutally tortured hundreds of young girls in a dungeon below Čachtice Castle. The highest report of her murder toll stands at 650. Legends would swirl about Elizabeth Bathory after her arrest for these supposed crimes. These stated that she would bathe and drink the blood of her virgin victims to keep a youthful and beautiful appearance. Hence, her popular nickname, The Blood Countess or Countess Dracula. Torture display set up in a chamber underneath Čachtice Castle. 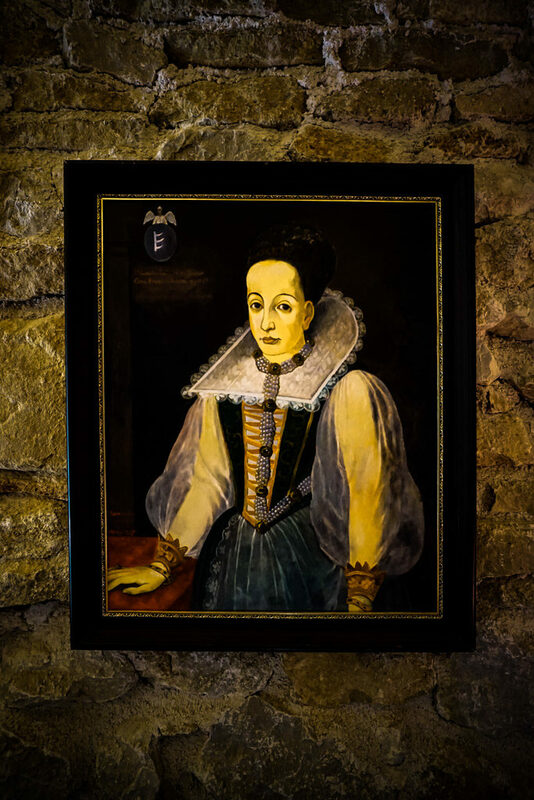 Elizabeth was eventually arrested for these crimes and locked in a tower at Čachtice Castle, where she remained for the final years of her life. She was to eventually die within this tower. Though Elizabeth’s supposed crimes are well known, it is likely they are sensationalized and exaggerated. Many even believe her to be innocent. 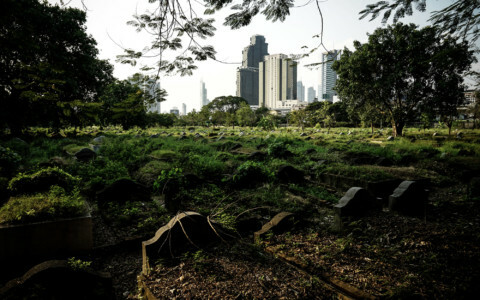 The victim of being a widowed, rich, powerful women during a time of political unrest. 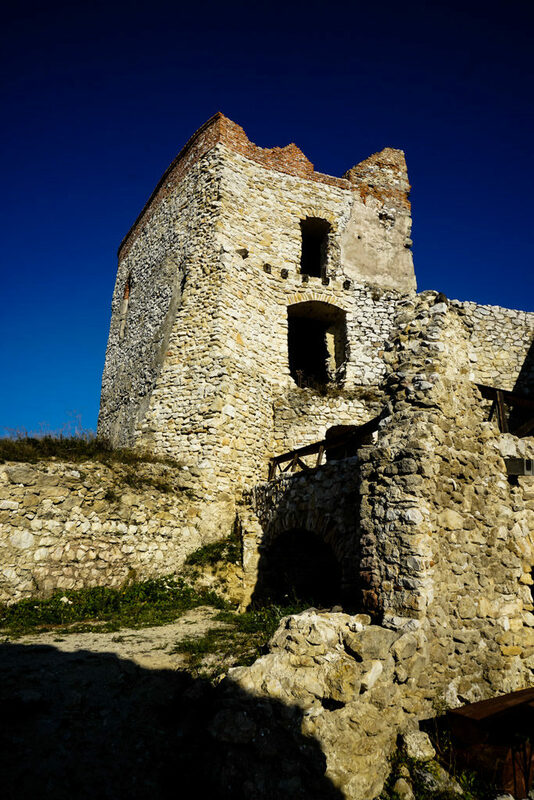 Although there is the possibility that Elizabeth Bathory was framed for these murders, many claims of the paranormal have surrounded Čachtice Castle. A tower at Čachtice Castle where Elizabeth Bathory was imprisoned. There have been many stories told about ghosts haunting Čachtice Castle in Slovakia. 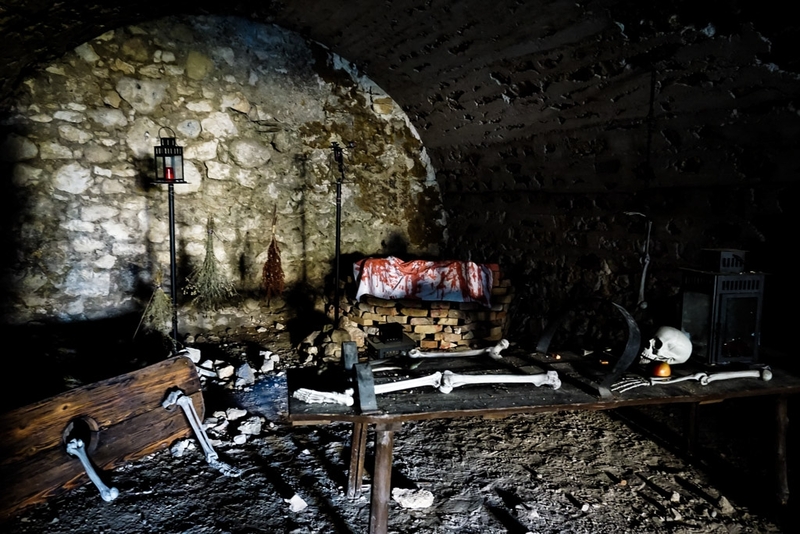 Though the existence of Elizabeth Bathory’s crimes has been debated, many believe tormented souls haunt the area. Some say they have sighted shadow figures and full body apparitions. Sometimes, these appear as young girls crying. View from above one of Slovakia’s haunted castles. The ghost of Elizabeth Bathory, herself, is also thought to haunt Čachtice Castle, where she was imprisoned and died. Many claim to have sighted her and she is sometimes described as being faceless. 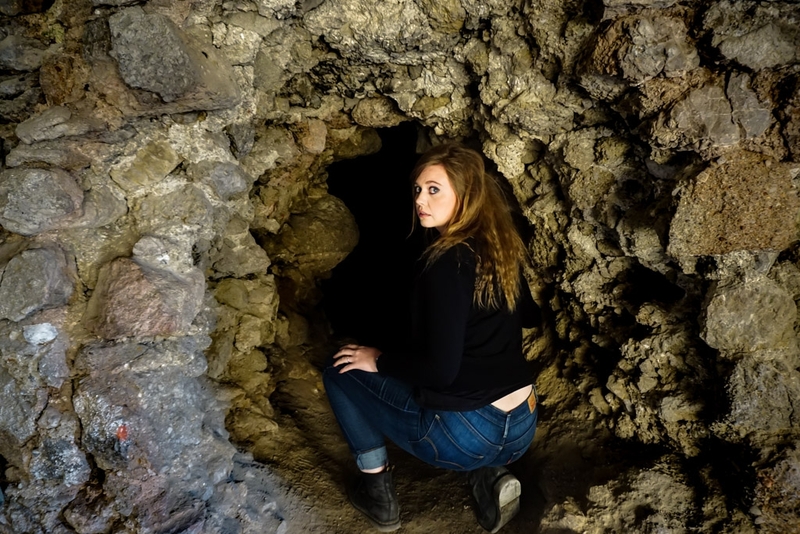 Exploring the castle of Elizabeth Bathory. In addition to these ghostly apparitions appearing before people. Some say that they have experienced disembodied voices in and around the castle. Heading below Elizabeth Bathory’s Castle. 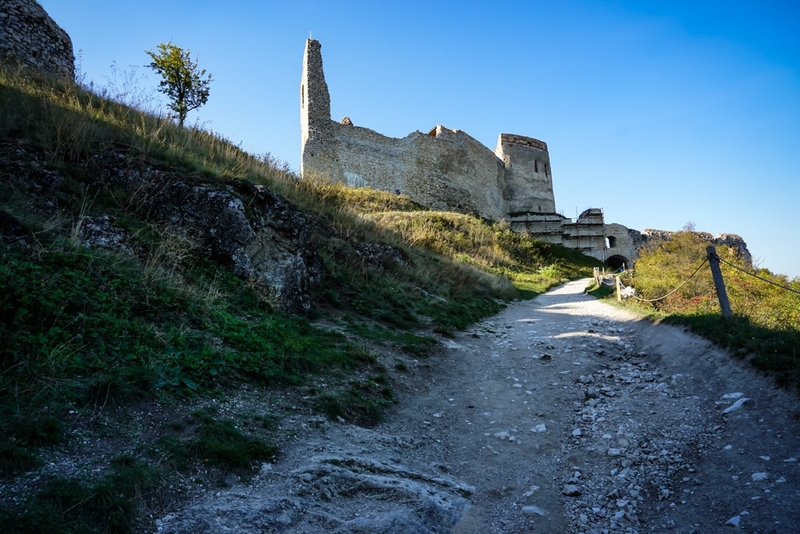 Čachtice Castle is a sight worth seeing for those venturing to Slovakia. 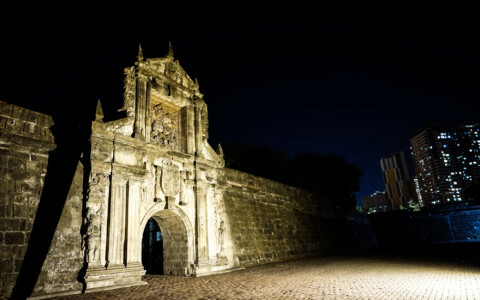 It has an interesting history and many mysteries surrounding it! The castle exists in the small, but charming town of Čachtice. This town is linked to other major cities by train, including Bratislava. There are plenty of eateries and accommodation in Čachtice, so you could also spend the night there. Čachtice Castle is a decent hike up a large hill but can also be accessed by car. The entrance fee is small and contains access to the castle and a museum. 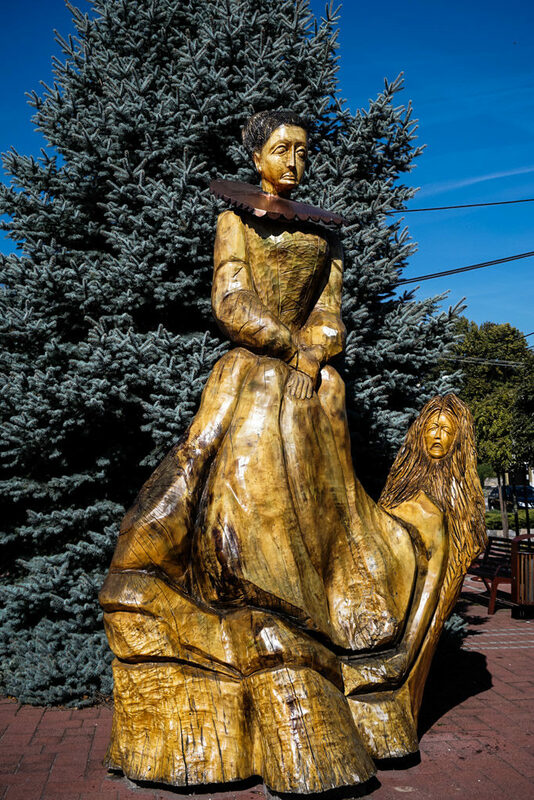 Sculpture in the town square of Čachtice, displaying Elizabeth Bathory and one of her victims. If you enjoyed this article and are looking for other castles connected to bloodthirsty rulers. 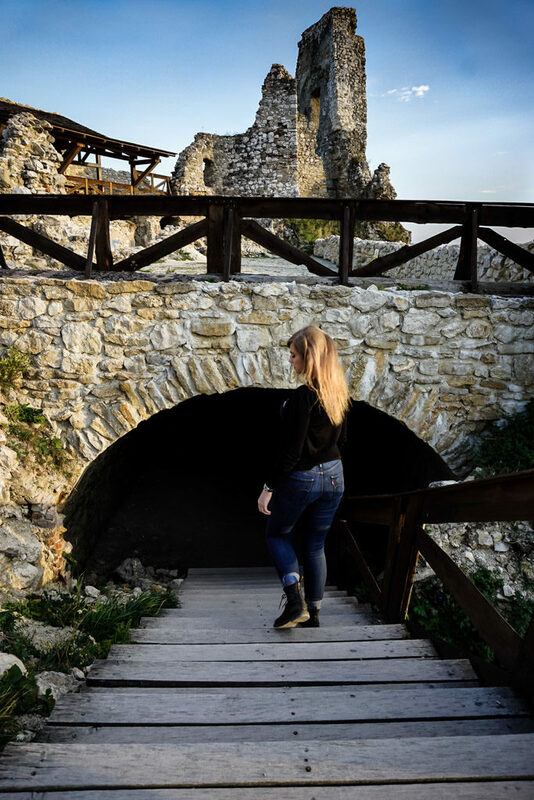 I recommend checking out Poenari Fortress, Vlad the Impaler’s castle. If you want to see more of my visit to Čachtice Castle, including my night time paranormal investigation, check out my other video. Nice video. you ask, why she wasnt charged with an easy crime – like witchcraft. She was in fact. So murder and witchcraft. But nothing about bathing in blood. That came many years later. At least one girl died in her service, that is for sure. But that does not mean, she killed her. Dying of desies where common at the time. I think it boils down to this: She was a calvinist, living up and down catolics and Lutherans. She was arrestet only 8 years before the 30 year war broke out i europe. The accusers against her where catholics and lutherans. It is known for sure, that a plan for dividing har proberties where being made even before she was arrasted by the Hungarian Palatine Gyorgy Thurzo and members of her own family (her sin in law). At that time the prinse of transylvania, Gabor Bathory, was threatning the Austrian rule over hugary (Thurzo being wiceroy for the Autrians). And they may have feared, that Elizabeth was supporting Garbor Bathory (who was her cusin). And of couse it was the comman norm, that a widow should remarrie. A lady was not supposed to be able to take care of so vast estates as Elizabeth did. So in my view, there were meny reasons for her to be framed. And Hungary at the time was a dangerous place for rich Calvinistic widow. Thanks again for you video. P.s. I am not english so please bare with the spelling. Hi Niels. Thanks for confirming that she was charged with witchcraft – It seemed the most logical way of doing it to me. I did know that the rumors of bathing in blood circulated later, another reason I think she was innocent (or at least, her charges were exaggerated). Thank you also for sharing some of the political issues that are relevant to her story, too. Glad you enjoyed the video.